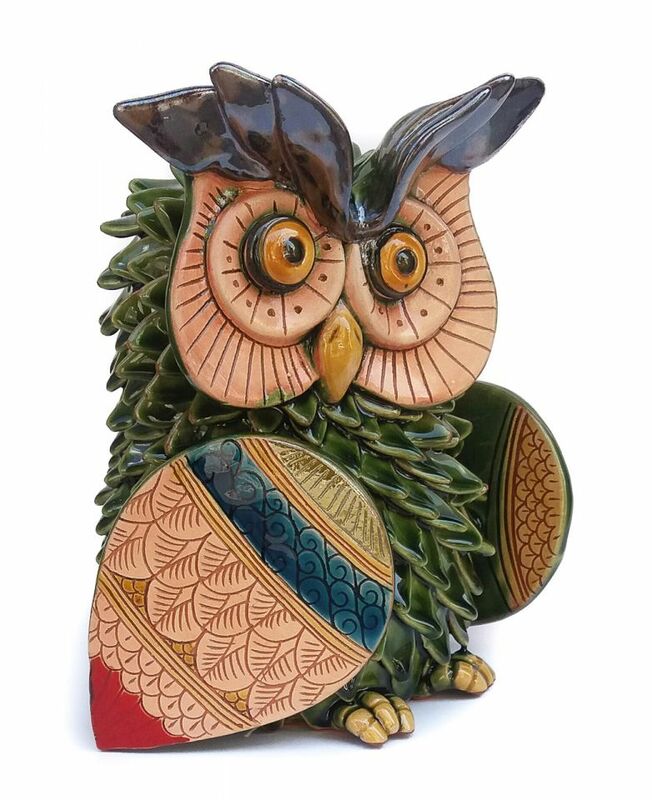 Polychrome owl made according to the ancient tradition of Grottaglie ceramics. 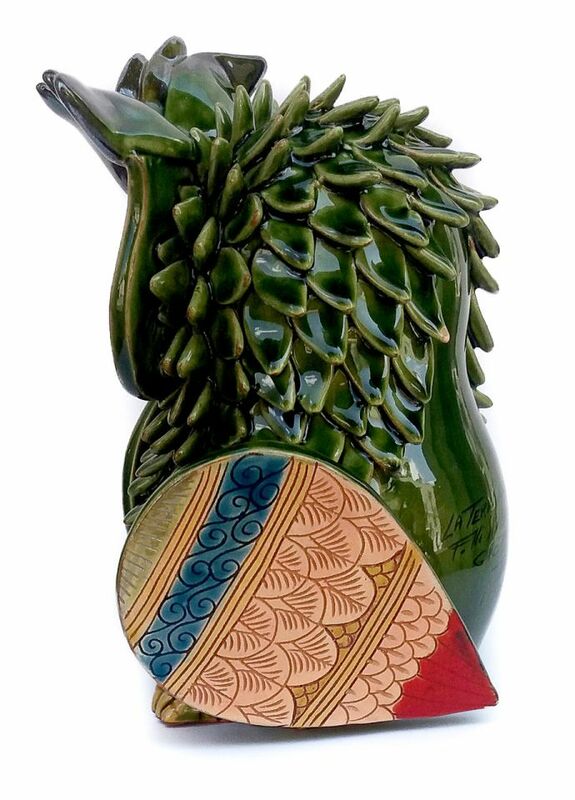 Moulded with a lathe, is then shaped and covered with small feathers applied individually to reproduce the plumage. The wings, with their concise and stylized shape, are placed carefully on the object like shields, recalling the symbolism of the protection of the house.